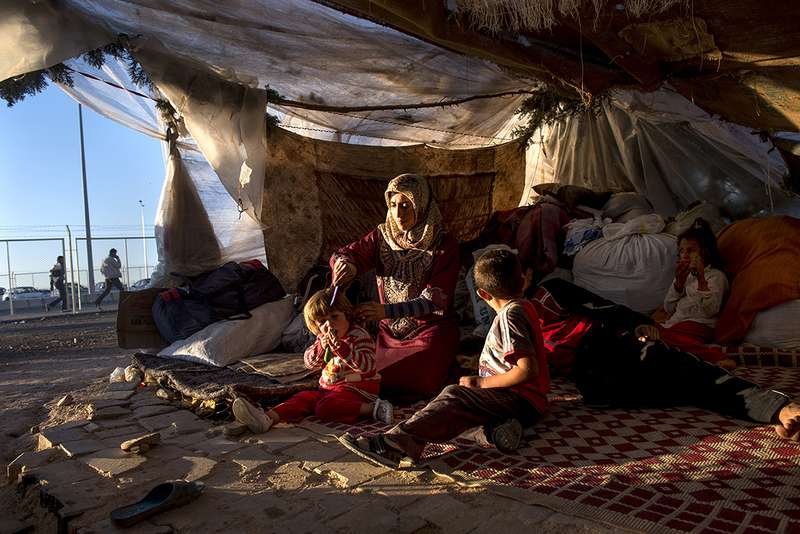 Iman Zenglo, 30, sits with her five children in their tent she and her husband set up roughly three months prior in squalid conditions in a squatters camp outside of the Killis camp on the Turkish side of the Turkish Syrian border in Turkey, October 22, 2013. Many Syrian refugees cross back and forth from Syria into bordering countries to work as laborers and visit family across borders. Syrian refugees now total over 2,000,000 in countries neighboring Syria as the civil war rages for the third year.